1975 Chris-Craft 410 Motor Yacht -FRESHWATER CLASSIC-This Chris-Craft is perfect for a weekend retreat or your summer cottage on the water. 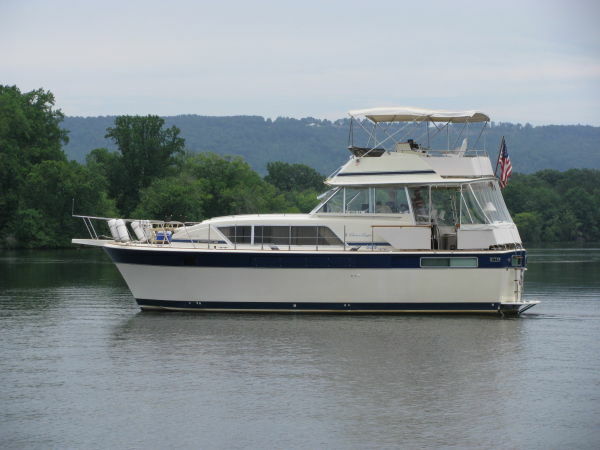 With two staterooms and two heads, SERENO has plenty of room for family and friends. 1979 Chris Craft 410 Motor Yacht The Surveyor Loved Her. You Will Too! Financing Available. This 41 Chris Craft Motor Yacht is an exceptional boat. She is very clean and in good condition from top to bottom. The bilges are clean. She has been updated in many ways. She is very well equipped with many extras. She has been kept under cover. The Chris Craft 410 Motor Yacht design ran for 15 years due to her popular spacious design. This is the longest run of any modern motor yacht. Fresh Water Only All Her LifeDual Helm StationOnly Needs 4 New Batteries and She Is TurnkeyGreat Live Aboard3 Zone Air Conditioning & HeatOnan 6.5 KW GeneratorCockpit HeaterSirius RadioRange: 200 Nautical MilesLower the Bridge and Ship Her Anywhere By Land. Please contact us for further information or to arrange a boarding. 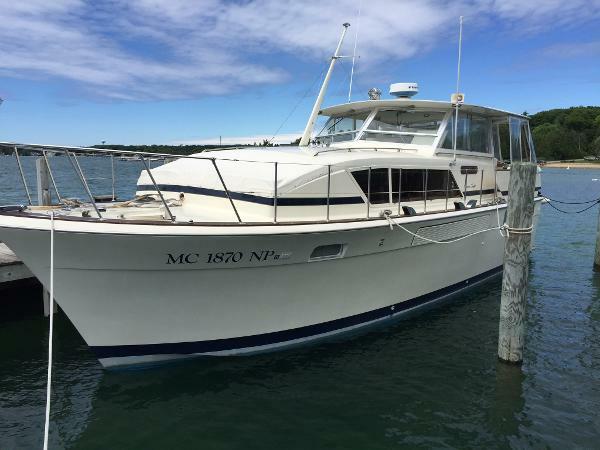 1973 Chris Craft1 410 Motor Yacht The Chris Craft 410 Motoryacht is a classic! This model enjoyed one of the longest production runs of any of the Motoryachts of the period. 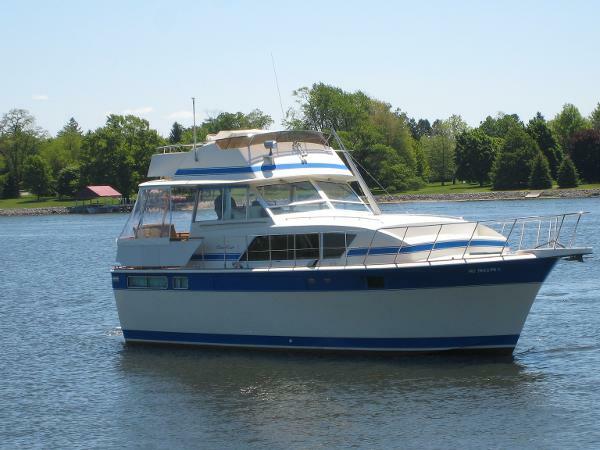 With it's open salon and comfortable staterooms she was made for cruising and entertaining. 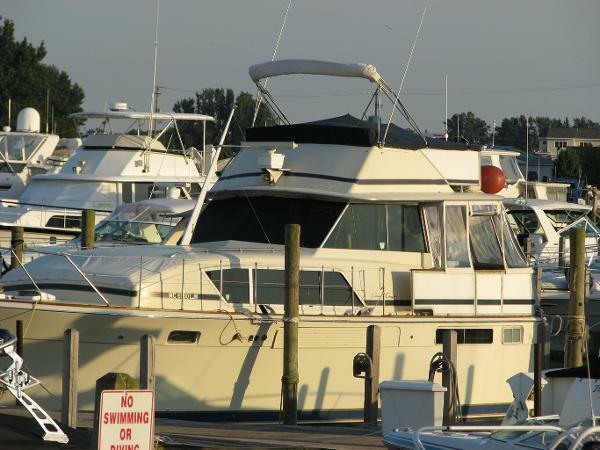 The current owner has taken care to maintain the boat properly and has made many improvements including two electric fireplaces and beautiful laminate flooring. Her owner has no time for boating and wants her sold!!! 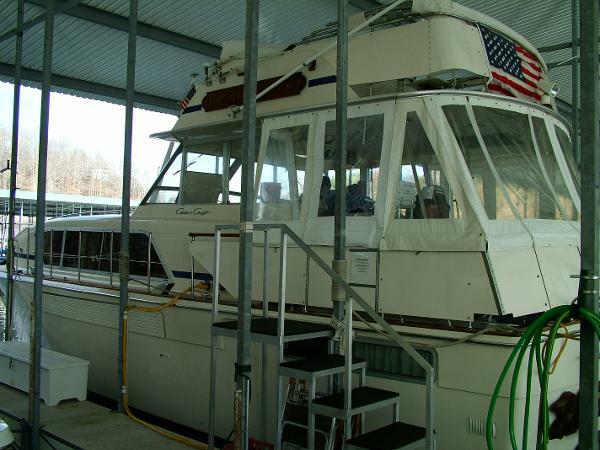 1984 Chris-Craft 410 Motor Yacht-New Hull Design and Stabilizers In 1984 Chris Craft re-designed the hull on the 410 MY with a broader transom and wider chines giving her a better and more stable ride than other flush deck motor yachts. One tour through this yacht and you will understand why the 410 Chris Craft has such a following as a Great Live-Aboard and Cruiser. Very well cared for and loaded with options. 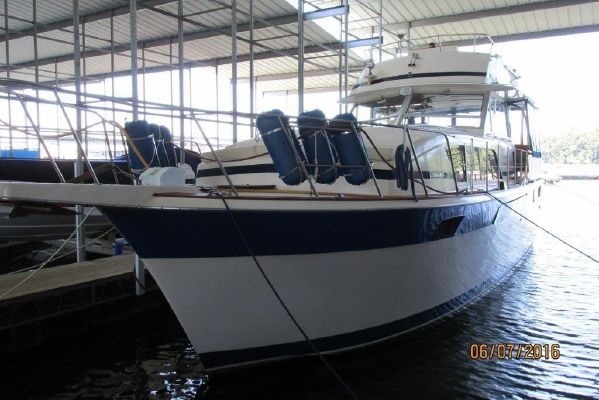 She has Naiad Stabilizers and Newer Electronics that make her a great cruising boat. The Master SR has a Full Queen Berth and ample storage. The galley is very workable and will be the focal point for your guests with a great room layout. Roomy comfortable Summer Cottage on the water with fantastic cruising Habits even for single handed cruising.